Olivier fell in love with golf when he was 14 years old. He went on to become Pro at the PGA of England, graduating in the class of 1992. To this day he remains the only French graduate of the PGA of England. While developing his own golf skills he also developed his ability to fit, build clubs, and help others improve their game. 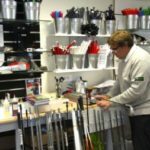 Olivier began his teaching career over ten years ago and as a scratch player, he knows that custom clubs are an absolute necessity. 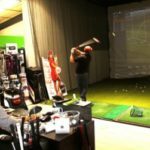 Due to his extensive training and skill, Olivier can provide customers with equipment built to their exact specifications that are guaranteed to improve their game. As an outstanding teacher, fitter, and builder, Olivier has been honored as one of the World’s Top 100 Clubfitters for the last six years (2013-2018). He is also a founding member of the International Professional Association of Clubfitters (IPAC). 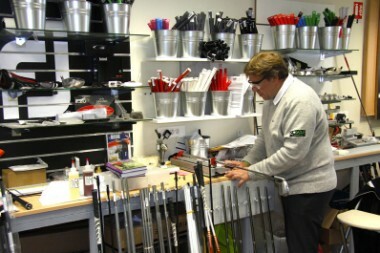 In 2012, Olivier built his state-of-the-art fitting and training facility. 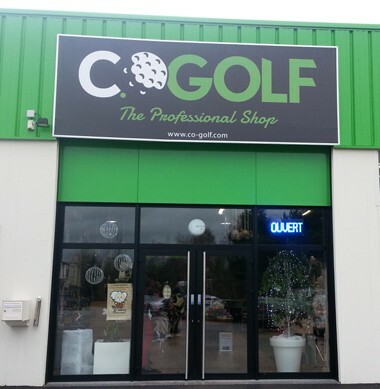 It features an indoor putting green, fitting bay, lounge area, and a Trackman launch monitor. 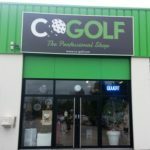 Testimonial: “I belong now to the KZG community and proud to be owner of an KZG XCB Iron set fitted by our ” black belt master Clubfitter” Oliver Chalon located in Marly (France). The KZG XCB irons were fitted with a KBS V-tour shaft. They are absolutely AMAZING and POWERFUL and will probably help me to enhance my current level. I’ve never felt such a good sensation in the past with my two previous and former iron sets (Japanese and US Competitors). Thanks to Oliver Chalon for his professionalism and the time he spent during the custom session in order to provide the best solution in terms of accuracy and specifications. Thanks to all of you for your contributions to provide such fine alternative solutions to the usual market and to help us improve our level. If you are interested in having Olivier fix you up with your own custom set, give him a call, he will be happy to help.